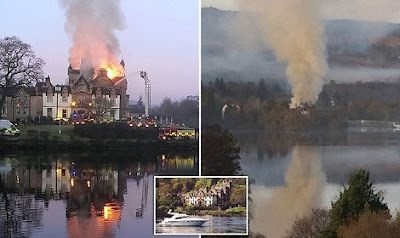 Two people have died and three others are being treated in hospital after a fire broke out at a five-star hotel on the banks of Loch Lomond. 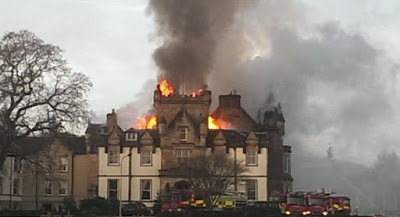 Dozens of firefighters were called to Cameron House at around 6.40am on Monday. 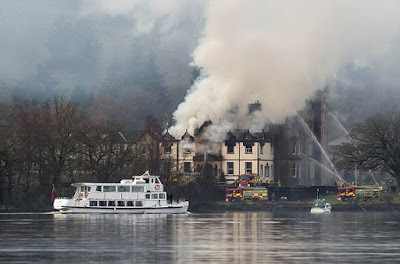 More than 200 guests were evacuated from the hotel that has been extensively damaged. 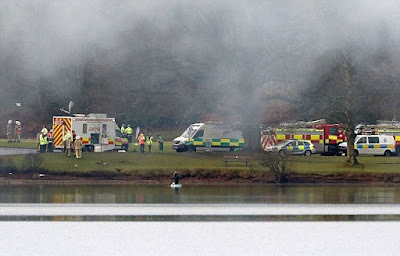 Police Scotland said one person was pronounced dead at the scene. 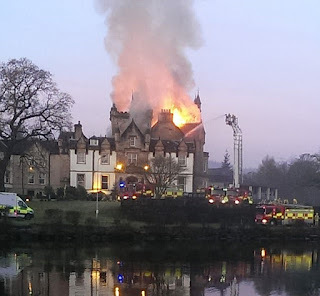 One person taken to the Royal Alexandra Hospital in Paisley also died. Two adults and a child, believed to be from one family, were taken to the Queen Elizabeth University Hospital in Glasgow for treatment. The baby was reportedly rescued from a third-floor window.